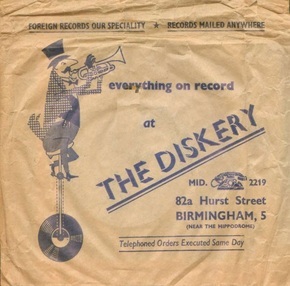 Terms like 'shabby-chic' and weather-worn take on a literal meaning when you visit The Diskery record store in Birmingham's Gay Village. Upholding the true meaning of vintage this half a century-old music shop is more like a record museum of dizzying amounts of music styles and eras. They sell, exclusive, elusive, (and what you might have considered) extinct records. Known as a local treasure by fans of the shop The Diskery proudly sell rare, original copies of records ranging from the 1950 to 1990. 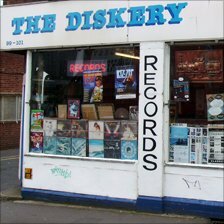 Unlike modern music stores these days The Diskery is very organised, like a well oiled clock. Pour over the vast selection of varied, long-forgotten (not by your Grandparents I'll bet), and classic music. It's arguably more of a tribute-store to 'real' music which previous generations enjoyed through dance movements like ballroom, swing, and tap. Music is the fruit of our soul: it makes you feel good. When you finally get your hands on that exclusive record you've been searching for, for years – the sense of joy is unbeatable. The Diskery know what they're good at, and they do it well. The owner, who unfortunately passed away last year opened the store 50 years ago. It's still in business because of the quality of their stock. One off pieces make for loyal customers, and the demand for forgotten records has increased; you can't 'get' everything on the internet, sometimes only the genuine article will do.